Qui Tam Federal False Claims Act Whistleblower Lawsuits allow whistleblowers to seek compensation on the government's behalf from companies and people that have defrauded taxpayers out of government money. Qui Tam Federal False Claims Act Whistleblower Protection Lawyer Jason Coomer helps whistleblowers determine if they may have a viable Qui Tam Federal False Claims Act Lawsuit, provides legal advice to protect whistleblowers, and helps heroes blow the whistle on people that are stealing from the government. If you are aware of Medicare Fraud, Defense Contractor Fraud, TARP Stimulus Fraud, or other government fraud, and are the original source with special knowledge of fraud and want to be a whistleblower, please feel free to contact Federal False Claims Act Whistleblower Protection Lawyer Jason Coomer via e-mail message or our submission form about a potential Qui Tam False Claim Whistleblower lawsuit regarding health care fraud, defense contract fraud, or other government fraud. As such, it is important for whistleblowers to understand and be prepared for potential retaliatory actions when the file a qui tam or other whistleblower action. More specifically, it is also important to realize that during the initial investigating and filing of a Qui Tam False Claim Act Lawsuit, the claim is initially kept under seal and protected. This initial filing period will allow the whistleblower a protection period to prepare for any potential retaliatory actions prior to the company knowing about the claim that has been filed. During this time it is often important for the whistleblower to prepare for their employer to learn about the claim and work with a whistleblower protection lawyer to make sure that the whistleblowers are aware of their rights and employment status as well as anticipate any potential problems or needs that may arise in the future. The Occupational Safety and Health Act is designed to regulate employment conditions relating to occupational safety and health and to achieve safer and more healthful workplaces throughout the nation. The Act provides for a wide range of substantive and procedural rights for employees and representatives of employees. The Act also recognizes that effective implementation and achievement of its goals depend in large measure upon the active and orderly participation of employees, individually and through their representatives, at every level of safety and health activity. To help ensure that employees are, in fact, free to participate in safety and health activities, Section 11(c) of the Act prohibits any person from discharging or in any manner retaliating against any employee because the employee has exercised rights under the Act. These rights include complaining to OSHA and seeking an OSHA inspection, participating in an OSHA inspection, and participating or testifying in any proceeding related to an OSHA inspection. Whistleblowers have been stepping up to blow the whistle on government and corporate corruption that have cost lives and Billion of dollars in tax payer money. Though it can be difficult to step up and blow the whistle on a power corporation, it is often necessary to prevent the expanding corruption and fraud that has taken over Wall Street, many Financial Corporations, Big Oil, and many other large businesses. From a taxpayer perspective, fraud against the United States government must be stopped especially health care fraud, medicare fraud, medicaid fraud, defense contractor fraud, and other government contactor fraud. Government spending has surged in the United States past Five Trillion Dollars ($5,000,000,000,000) each year and is expected to continue to increase in the futures. Further, Health Care Expenses in the United States have increased to be over Two Trillion Dollars ($2,000,000,000,000.00) Dollars each year and are expected to continue to increase. From a taxpayer stand point, preventing government fraud can save hundreds of billions of dollars. (c) Claim Defined. - For purposes of this section, "claim" includes any request or demand, whether under a contract or otherwise, for money or property which is made to a contractor, grantee, or other recipient if the United States Government provides any portion of the money or property which is requested or demanded, or if the Government will reimburse such contractor, grantee, or other recipient for any portion of the money or property which is requested or demanded. (1) If the Government proceeds with an action brought by a person under subsection (b), such person shall, subject to the second sentence of this paragraph, receive at least 15 percent but not more than 25 percent of the proceeds of the action or settlement of the claim, depending upon the extent to which the person substantially contributed to the prosecution of the action. Where the action is one which the court finds to be based primarily on disclosures of specific information (other than information provided by the person bringing the action) relating to allegations or transactions in a criminal, civil, or administrative hearing, in a congressional, administrative, or Government (FOOTNOTE 1) Accounting Office report, hearing, audit, or investigation, or from the news media, the court may award such sums as it considers appropriate, but in no case more than 10 percent of the proceeds, taking into account the significance of the information and the role of the person bringing the action in advancing the case to litigation. Any payment to a person under the first or second sentence of this paragraph shall be made from the proceeds. Any such person shall also receive an amount for reasonable expenses which the court finds to have been necessarily incurred, plus reasonable attorneys' fees and costs. All such expenses, fees, and costs shall be awarded against the defendant. (FOOTNOTE 1) So in original. Probably should be "General". (A) No court shall have jurisdiction over an action under this section based upon the public disclosure of allegations or transactions in a criminal, civil, or administrative hearing, in a congressional, administrative, or Government (FOOTNOTE 2) Accounting Office report, hearing, audit, or investigation, or from the news media, unless the action is brought by the Attorney General or the person bringing the action is an original source of the information. (FOOTNOTE 2) So in original. Probably should be "General". (a) Actions Under Section 3730. - Any action under section 3730 may be brought in any judicial district in which the defendant or, in the case of multiple defendants, any one defendant can be found, resides, transacts business, or in which any act proscribed by section 3729 occurred. A summons as required by the Federal Rules of Civil Procedure shall be issued by the appropriate district court and served at any place within or outside the United States. (b) Claims Under State Law. - The district courts shall have jurisdiction over any action brought under the laws of any State for the recovery of funds paid by a State or local government if the action arises from the same transaction or occurrence as an action brought under section 3730. (2) Effect on other orders, rules, and laws. - Any such demand which is an express demand for any product of discovery supersedes any inconsistent order, rule, or provision of law (other than this section) preventing or restraining disclosure of such product of discovery to any person. Disclosure of any product of discovery pursuant to any such express demand does not constitute a waiver of any right or privilege which the person making such disclosure may be entitled to invoke to resist discovery of trial preparation materials. (1) By whom served. - Any civil investigative demand issued under subsection (a) may be served by a false claims law investigator, or by a United States marshal or a deputy marshal, at any place within the territorial jurisdiction of any court of the United States. (2) Service in foreign countries. - Any such demand or any petition filed under subsection (j) may be served upon any person who is not found within the territorial jurisdiction of any court of the United States in such manner as the Federal Rules of Civil Procedure prescribe for service in a foreign country. To the extent that the courts of the United States can assert jurisdiction over any such person consistent with due process, the United States District Court for the District of Columbia shall have the same jurisdiction to take any action respecting compliance with this section by any such person that such court would have if such person were personally within the jurisdiction of such court. (B) depositing an executed copy of such demand or petition in the United States mails by registered or certified mail, with a return receipt requested, addressed to the person at the person's residence or principal office or place of business. (e) Proof of Service. - A verified return by the individual serving any civil investigative demand issued under subsection (a) or any petition filed under subsection (j) setting forth the manner of such service shall be proof of such service. In the case of service by registered or certified mail, such return shall be accompanied by the return post office receipt of delivery of such demand. (2) Production of materials. - Any person upon whom any civil investigative demand for the production of documentary material has been served under this section shall make such material available for inspection and copying to the false claims law investigator identified in such demand at the principal place of business of such person, or at such other place as the false claims law investigator and the person thereafter may agree and prescribe in writing, or as the court may direct under subsection (j)(1). Such material shall be made so available on the return date specified in such demand, or on such later date as the false claims law investigator may prescribe in writing. Such person may, upon written agreement between the person and the false claims law investigator, substitute copies for originals of all or any part of such material. (1) Procedures. - The examination of any person pursuant to a civil investigative demand for oral testimony served under this section shall be taken before an officer authorized to administer oaths and affirmations by the laws of the United States or of the place where the examination is held. The officer before whom the testimony is to be taken shall put the witness on oath or affirmation and shall, personally or by someone acting under the direction of the officer and in the officer's presence, record the testimony of the witness. The testimony shall be taken stenographically and shall be transcribed. When the testimony is fully transcribed, the officer before whom the testimony is taken shall promptly transmit a copy of the transcript of the testimony to the custodian. This subsection shall not preclude the taking of testimony by any means authorized by, and in a manner consistent with, the Federal Rules of Civil Procedure. (2) Persons present. - The false claims law investigator conducting the examination shall exclude from the place where the examination is held all persons except the person giving the testimony, the attorney for and any other representative of the person giving the testimony, the attorney for the Government, any person who may be agreed upon by the attorney for the Government and the person giving the testimony, the officer before whom the testimony is to be taken, and any stenographer taking such testimony. (3) Where testimony taken. - The oral testimony of any person taken pursuant to a civil investigative demand served under this section shall be taken in the judicial district of the United States within which such person resides, is found, or transacts business, or in such other place as may be agreed upon by the false claims law investigator conducting the examination and such person. (4) Transcript of testimony. - When the testimony is fully transcribed, the false claims law investigator or the officer before whom the testimony is taken shall afford the witness, who may be accompanied by counsel, a reasonable opportunity to examine and read the transcript, unless such examination and reading are waived by the witness. Any changes in form or substance which the witness desires to make shall be entered and identified upon the transcript by the officer or the false claims law investigator, with a statement of the reasons given by the witness for making such changes. The transcript shall then be signed by the witness, unless the witness in writing waives the signing, is ill, cannot be found, or refuses to sign. If the transcript is not signed by the witness within 30 days after being afforded a reasonable opportunity to examine it, the officer or the false claims law investigator shall sign it and state on the record the fact of the waiver, illness, absence of the witness, or the refusal to sign, together with the reasons, if any, given therefor. (5) Certification and delivery to custodian. - The officer before whom the testimony is taken shall certify on the transcript that the witness was sworn by the officer and that the transcript is a true record of the testimony given by the witness, and the officer or false claims law investigator shall promptly deliver the transcript, or send the transcript by registered or certified mail, to the custodian. (6) Furnishing or inspection of transcript by witness. - Upon payment of reasonable charges therefor, the false claims law investigator shall furnish a copy of the transcript to the witness only, except that the Attorney General, the Deputy Attorney General, or an Assistant Attorney General may, for good cause, limit such witness to inspection of the official transcript of the witness' testimony. (8) Witness fees and allowances. - Any person appearing for oral testimony under a civil investigative demand issued under subsection (a) shall be entitled to the same fees and allowances which are paid to witnesses in the district courts of the United States. (1) Designation. - The Attorney General shall designate a false claims law investigator to serve as custodian of documentary material, answers to interrogatories, and transcripts of oral testimony received under this section, and shall designate such additional false claims law investigators as the Attorney General determines from time to time to be necessary to serve as deputies to the custodian. (3) Use of material, answers, or transcripts in other proceedings. - Whenever any attorney of the Department of Justice has been designated to appear before any court, grand jury, or Federal agency in any case or proceeding, the custodian of any documentary material, answers to interrogatories, or transcripts of oral testimony received under this section may deliver to such attorney such material, answers, or transcripts for official use in connection with any such case or proceeding as such attorney determines to be required. Upon the completion of any such case or proceeding, such attorney shall return to the custodian any such material, answers, or transcripts so delivered which have not passed into the control of such court, grand jury, or agency through introduction into the record of such case or proceeding. (B) transmit in writing to the person who produced such material, answers, or testimony notice of the identity and address of the successor so designated. Any person who is designated to be a successor under this paragraph shall have, with regard to such material, answers, or transcripts, the same duties and responsibilities as were imposed by this section upon that person's predecessor in office, except that the successor shall not be held responsible for any default or dereliction which occurred before that designation. (1) Petition for enforcement. - Whenever any person fails to comply with any civil investigative demand issued under subsection (a), or whenever satisfactory copying or reproduction of any material requested in such demand cannot be done and such person refuses to surrender such material, the Attorney General may file, in the district court of the United States for any judicial district in which such person resides, is found, or transacts business, and serve upon such person a petition for an order of such court for the enforcement of the civil investigative demand. (4) Petition to require performance by custodian of duties. - At any time during which any custodian is in custody or control of any documentary material or answers to interrogatories produced, or transcripts of oral testimony given, by any person in compliance with any civil investigative demand issued under subsection (a), such person, and in the case of an express demand for any product of discovery, the person from whom such discovery was obtained, may file, in the district court of the United States for the judicial district within which the office of such custodian is situated, and serve upon such custodian, a petition for an order of such court to require the performance by the custodian of any duty imposed upon the custodian by this section. (5) Jurisdiction. - Whenever any petition is filed in any district court of the United States under this subsection, such court shall have jurisdiction to hear and determine the matter so presented, and to enter such order or orders as may be required to carry out the provisions of this section. Any final order so entered shall be subject to appeal under section 1291 of title 28. Any disobedience of any final order entered under this section by any court shall be punished as a contempt of the court. (6) Applicability of federal rules of civil procedure. - The Federal Rules of Civil Procedure shall apply to any petition under this subsection, to the extent that such rules are not inconsistent with the provisions of this section. (k) Disclosure Exemption. - Any documentary material, answers to written interrogatories, or oral testimony provided under any civil investigative demand issued under subsection (a) shall be exempt from disclosure under section 552 of title 5. It is extremely important that Whistleblowers continue to expose fraudulent billing practices and unnecessary treatments that cost billions of dollars. 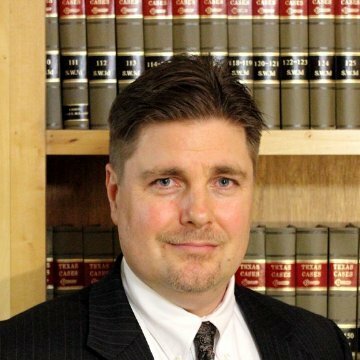 If you are aware of a large government contractor that is defrauding the United States Government out of millions or billions of dollars, contact Texas Federal False Claims Act Whistleblower Lawyer Jason Coomer. As a Federal False Claims Act Whistle Blower Lawyer, he works with other powerful qui tam lawyers that handle large Government Fraud cases. He works with San Antonio Financial Fraud Whistleblower Lawyers, Houston Medicare Fraud Whistleblower Lawyers, California Healthcare Fraud Lawyers, and other Medicare Fraud Whistleblower Lawyers as well as with Whistleblower Lawyers throughout the World to blow the whistle on fraud that hurts the United States and taxpayers. If you are aware of Medicare Fraud, Defense Contractor Fraud, Stimulus Fraud, or other government fraud and are the original source with special knowledge of fraud and want to be a whistleblower and an American Hero, please feel free to contact Federal False Claims Act Whistleblower Fraud Lawyer Jason Coomer via e-mail message or our submission form about a potential Qui Tam False Claim Whistleblower regarding Health Care Fraud lawsuits, Medicare and Medicaid Fraud Lawsuits, Defense Contract Fraud Lawsuits, or other Government Fraud Lawsuits.